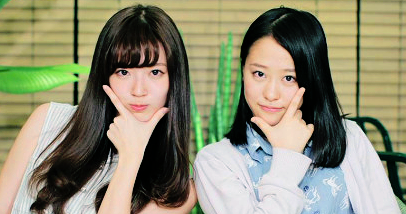 Morisaki is fun, I always thought she was older than Nocchi at first glance. 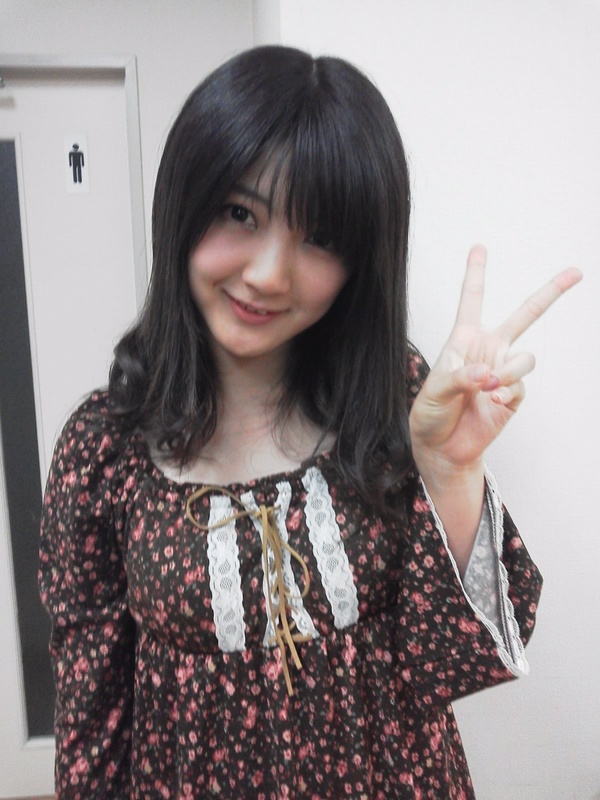 Her current hobby is touching other peoples' earlobes, and the ideal ones to touch are none other than Yuukarin's. 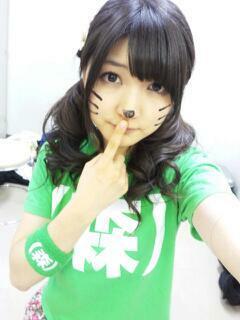 Morisaki is in my top 5 eggs.. and probably in my top ten all-time H!P. She's just so cute and TALENTED. I can't ever stop watching her in the egg concerts. I really hope there are plans for her soon. I'm sad she hasn't shown up in a unit yet. I like her voice, it's different to a lot of other idols! It'd be so awesome for her and Momo to duet sometime though!! HAPPY SWEET 16TH TO MORISAKI!!!! A few days late but HAPPY BIRTHDAT MORITTY!!! A stage musical based on the popular video game and anime franchise "Kiniro no Corda" (also known as "La Corda d'oro") has been announced for this March. Teen model Azusa Okamoto (17) and Hello! 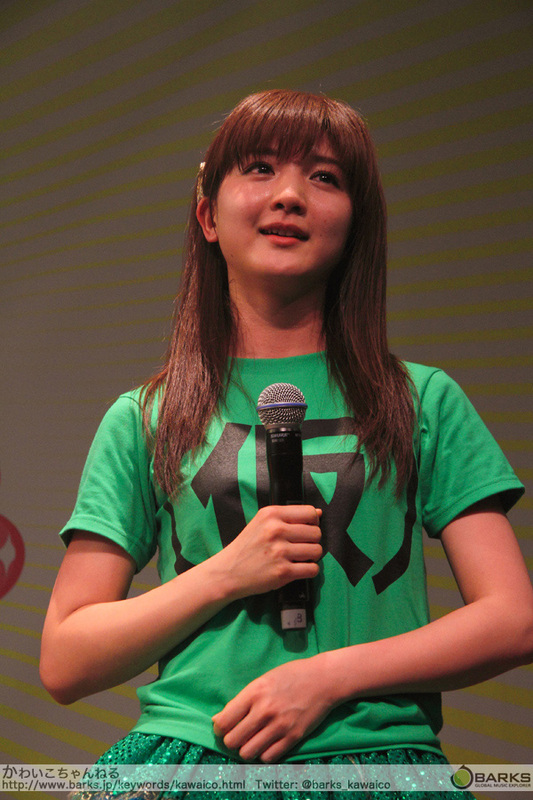 Pro Eggs member Saki Mori (16) have been double-cast as the protagonist Kahoko Hino. 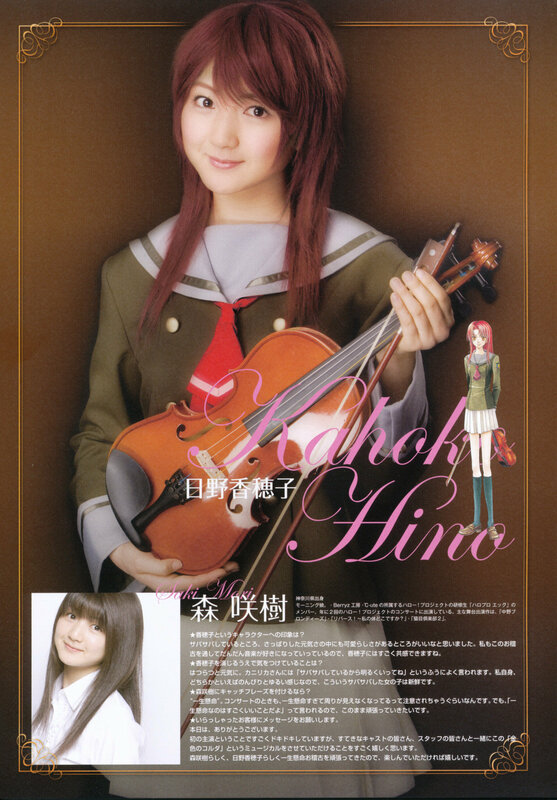 The music-themed story revolves around an ordinary girl named Kahoko who obtains a magical violin. She ends up participating in her school's music competition, and romance unfolds between her and the handsome boys who are also competing. The video game series has sold more than 300,000 copies, and the 13 volumes of the manga released so far have sold over 2.5 million copies. An anime adaptation first aired in 2006. Okamoto and Mori's supporting cast includes Shun Mikami, Yuta Takahashi, Manato Kawamura, Koichi Yoshino, and Yuta Koseki. Composer Takatsugu Muramatsu is in charge of the music. The musical will be performed at the Galaxy Theatre in Tokyo on March 19-24. For the musical she's in, "La Corda d'oro Stella Musical"
More gifs from the UFZS perf here. Gif time again, now from the Dance de Bakoon dance cover. More here. THAT TODAY MORITTY TURNED 18! 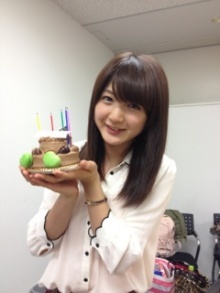 who turned 19 years old yesterday, October 12!!! 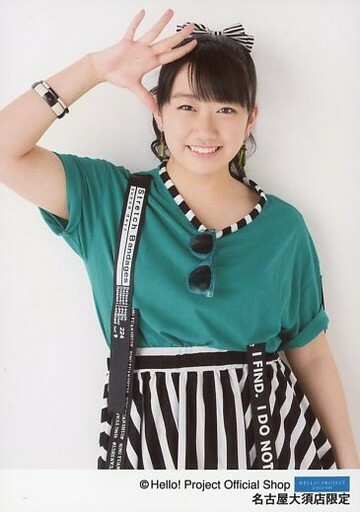 Hope she had a great day with her family and friends, and may this coming year bring beautiful Saki many great memories, and may there be much joy and happiness for her!! A very nice tribute to Saki, created by YouTuber muldenhutten, and posted on February 19, 2012.
friends and family, and that the coming year brings Saki chan much love and happiness!!! Didn't realize that Moritty was also doing weather reports for the Charge 730! daytime talk show. On this ep, she's joined by fellow Up Up Girls members Sengoku Minami and Furukawa Konatsu. Great pun, cute as heck, tea is awesome, APPROVED!